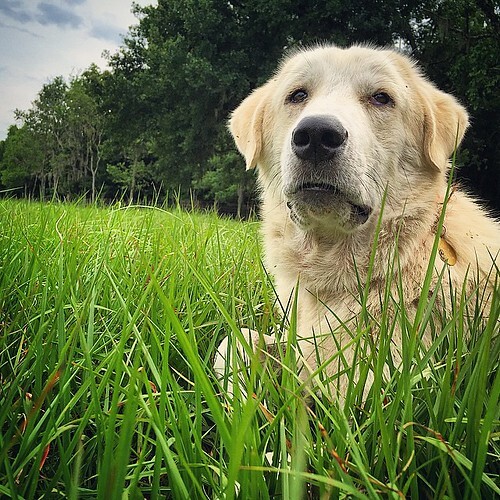 Stimpy is our resident livestock guardian dog (LGD) – he is half Anatolian, half Central Asian Shepherd, from Brian Cash in GA. 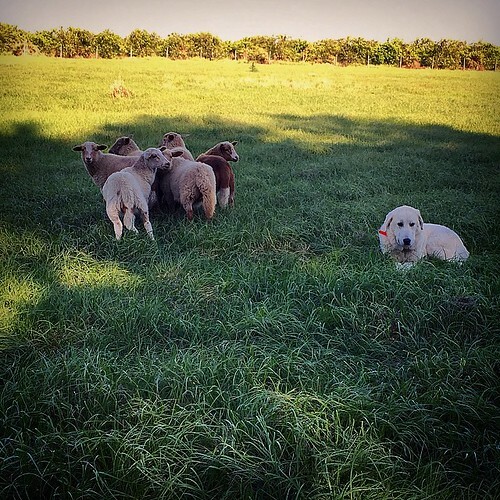 He protects the flock and lives with the sheep. 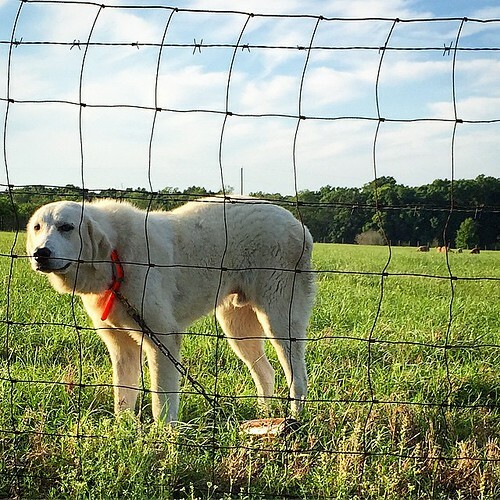 He is still a puppy but so far does a great job scaring off predators, of which there are many!